Luke Pledger wins A grade. 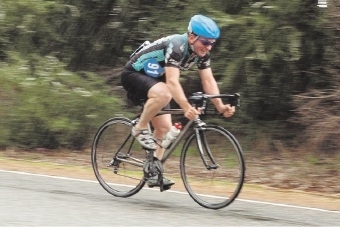 Mark Crowther wins C grade. The conditions were going to be tough and it was expected most grades would finish in a bunch sprint aided by the strong tailwind down Karnup Road. Instead, the wind managed to break every grade up and then the rain and hail hit as most grades were on the last or second last lap, which made chasing down the breakaways even more difficult. In A grade, six riders slipped off the front at the end of the second lap; by the end of the third lap the breakaway had established a healthy lead. The six remained together and clear until out of the last corner on the seventh lap, Luke Pledger accelerated hard and only Ryan Wilmott could follow. Peter Mills and Mikey Hoskens chased hard, as their breakaway companions were swallowed by those pursuing. In the end, Pledger was too strong, taking the win from Wilmott second and Hoskens third. 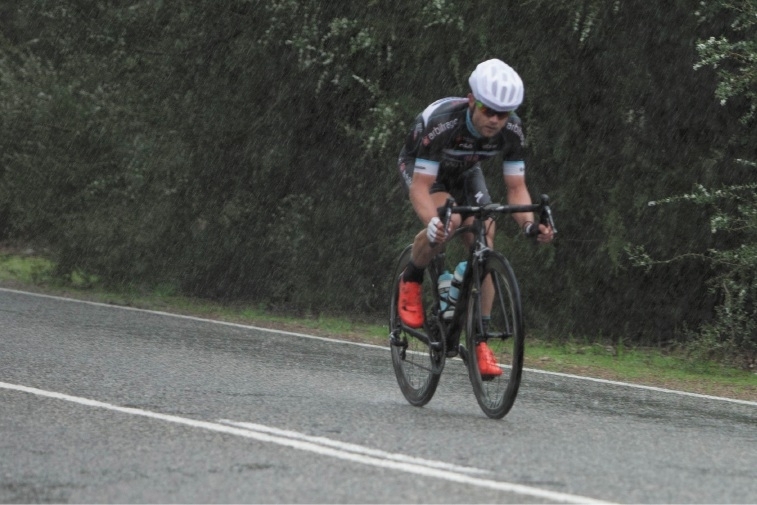 The bunch stayed together in B grade until the second last lap, when a trio of riders got away and stayed away to fight out a very wet finish with Martin Clarke first, Andrew Brown second and David Sumich third. 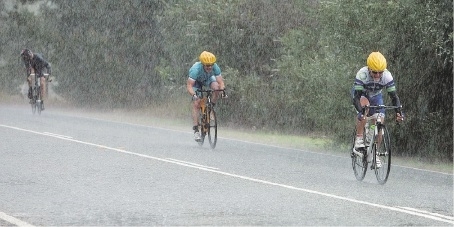 The second last lap in C grade resulted in Mark Crowther making a daring solo attack into the headwind on Gull Road. The pursuing bunch lost riders and Crowther stayed away for the win. Clint Slomp failed in a late attempt to bridge across, but was well clear for second, with Keleana Saleh winning the sprint for third. D grade exploded on the crosswinds on the third of their five laps, with Ashley Clark and Clint Hort getting away. Clark then distanced Hort to take the win, with Hort second and Tom Power riding away from the others late in the race to take third.